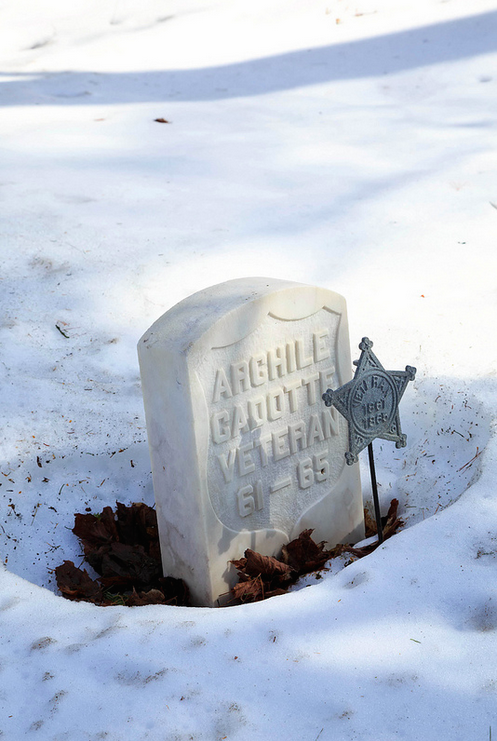 Achille Cadotte, Drummond Island, Upper Peninsula of Michigan, Mackinac Island. US Army, 4th Minnesota and 17th Wisconsin Infantry, Civil War. Courtesy of Norm Powell http://www.normpowellphotography.com/ ©Norm Powell.